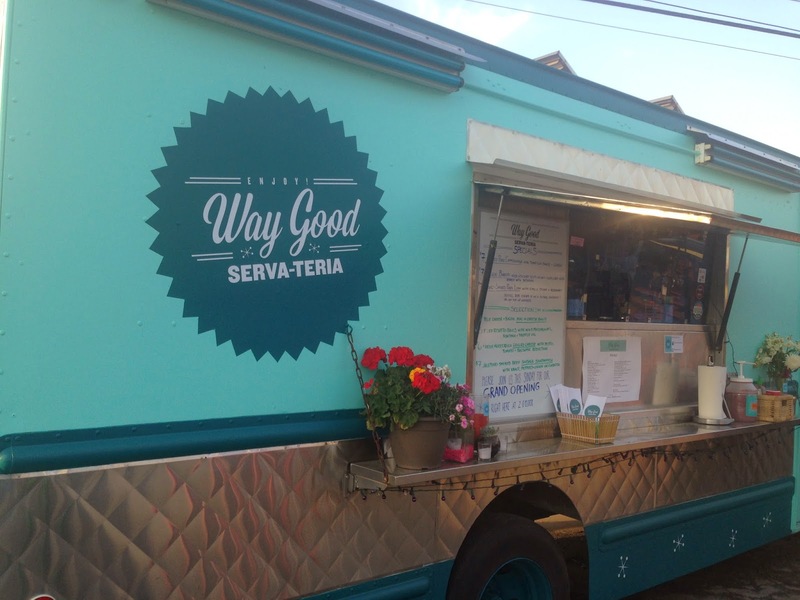 Way Good Serva-Teria replaced Papou Jerry's Gyro Truck as the "house truck" at West Alabama Ice House. Of course I had to try them. My first impression of the truck was very positive and I think they will be a truck to watch. They may even give Tacos Tierra Caliente across the street some competition. Ok, I'm a bit baffled on how to review this sandwich. The menu says this sandwich comes with kraut, peppers, and onions on ciabatta. Well I got the kraut, peppers and onions, but no ciabatta. What it came on was a sesame hotdog bun. Mine also had a healthy amount of horse radish. I like horse radish, but a lot of people don't. 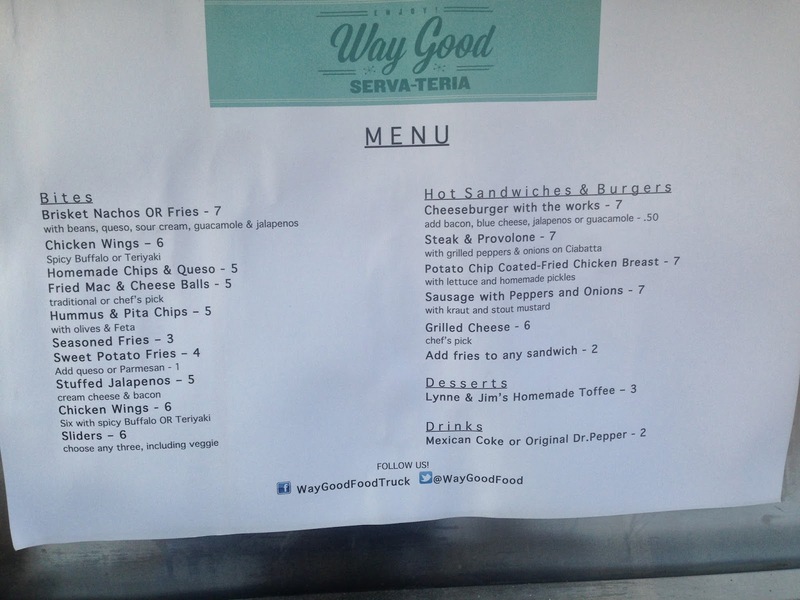 It's a white board menu, you should keep it up to date. The sausage was a good sausage with a nice snap to it when you bit in, but unless these were the mildest jalapeños known to man this wasn't a jalapeño sausage. 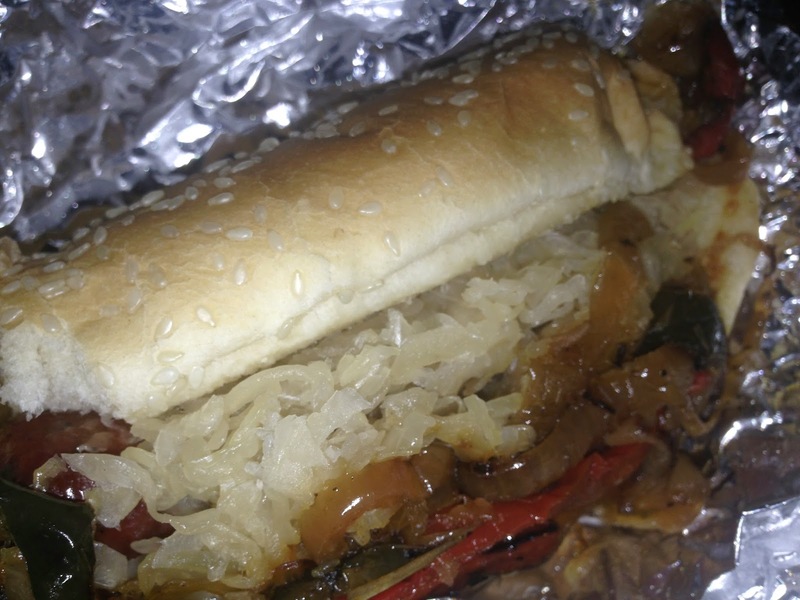 I did get just the right about of kraut and the peppers and onions were excellent. I did enjoy my sandwich, but if I had my heart set on jalapeño and ciabatta and didn't like horse radish I would have been very disappointed. Synopsis: This was like a classic spaghetti western, there was The good, The bad, and The ugly. 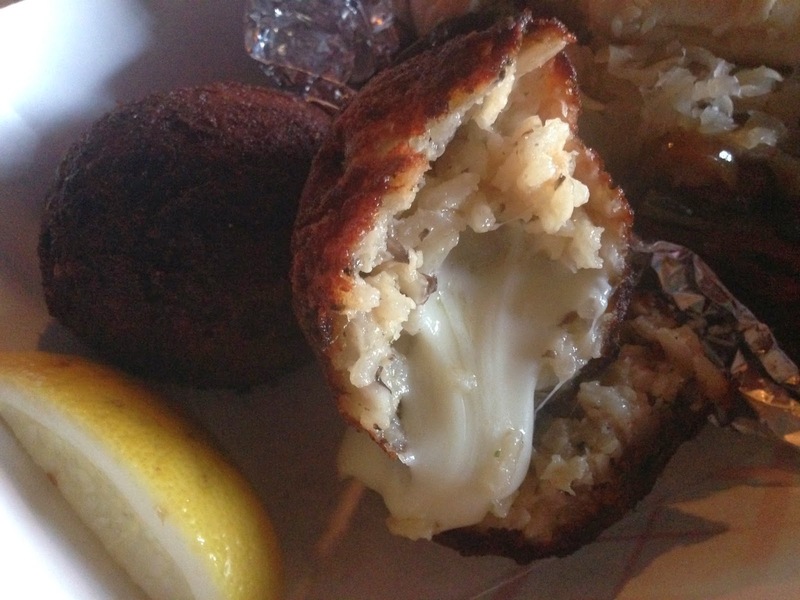 The serving is two large deep fried balls, I'd call them the size of a racket ball. The risotto was a wild mushroom risotto with some truffle oil. Yummy fungus overload. Classically risotto is very liquid and you couldn't form it into balls. so Way Good must to something to firm it up. It doesn't suffer though in flavor and texture. I guess risotto, wild mushrooms and truffle oil isn't rich enough, fill the center of the ball with melted Fontina cheese. Fontina is one of the best melting cheeses and stays soft even when it cools some so the center was not like dairy lava, but something you could enjoy. I have to say, these are some of the best balls I've had (hehe I managed get 'balls' into the review 5 times). 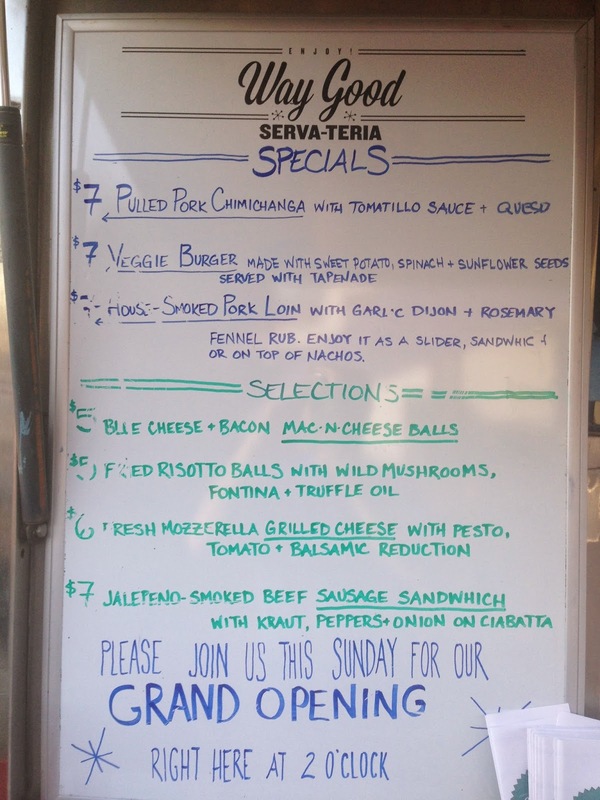 Synopsis: These are reason enough to come back to Way Good Serva-Teria.